For many, photographs from the World War II have only been seen in grainy black and white. 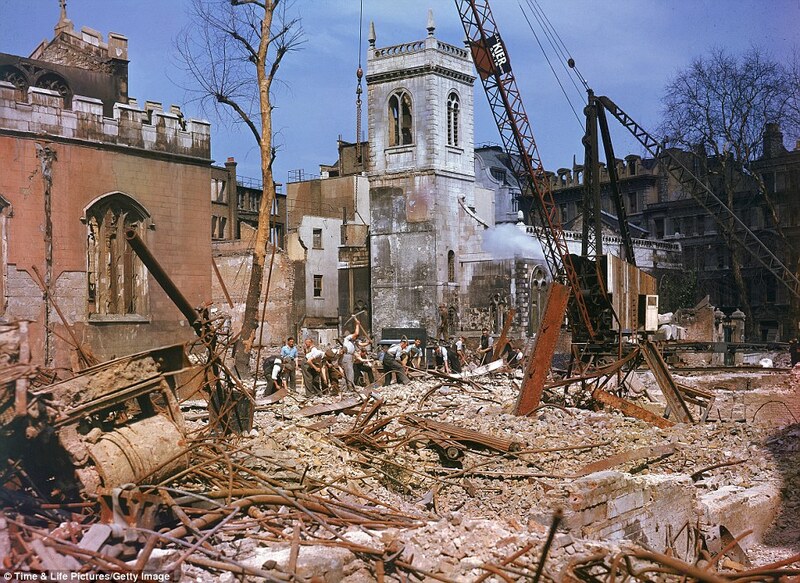 But now, new colour images have emerged that show the full horror of the destruction inflicted by Nazi bombings across London. 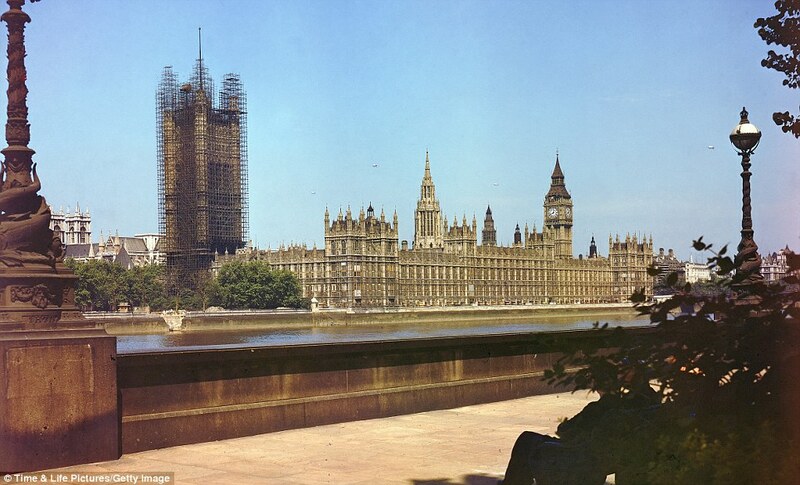 The powerful images were released to mark the 70th anniversary of the launch of Winston Churchill's 'V for Victory' campaign on July 19, 1941. 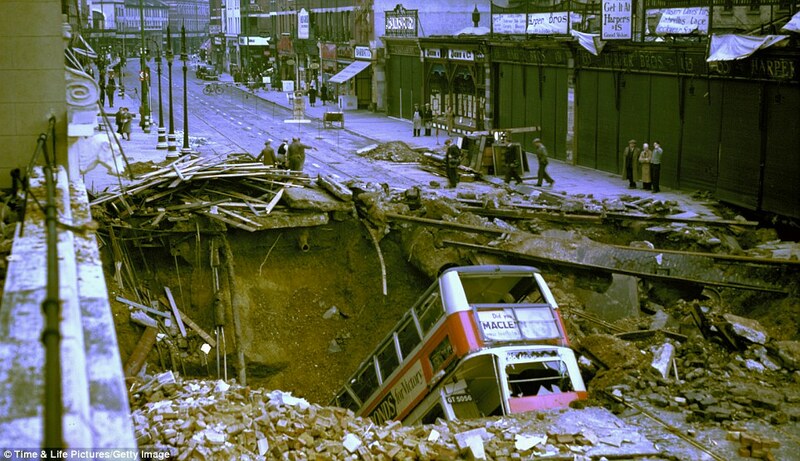 On the night of October 14 1940, a bomb penetrated the road and exploded in Balham Underground station, killing 68 people. 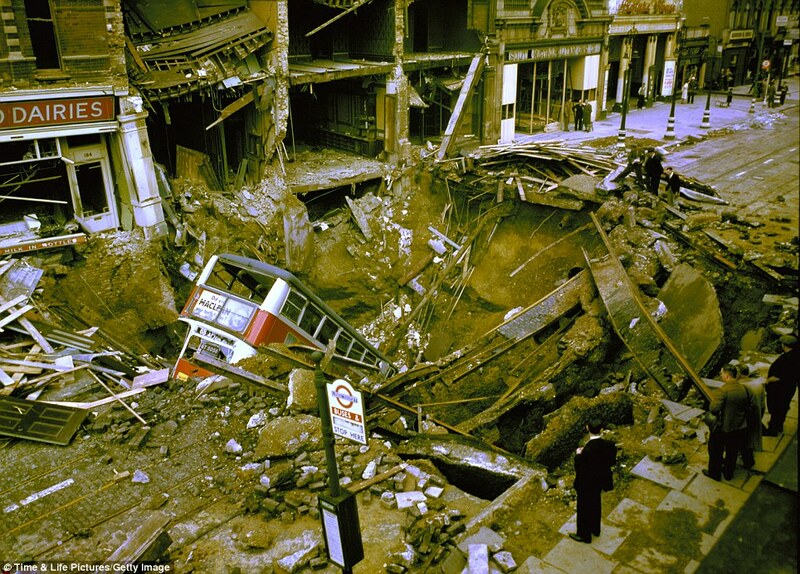 A No 88 bus travelling in black-out conditions then fell into the crater. The genesis for the campaign began in January of that year when Belgian minister Victor de Laveleye suggested that his country uses the V as a rallying symbol. This was then adopted by the BBC and then Winston Churchill began to use the term later that year and waved the V sign with his right hand. Other European leaders soon followed Churchill's lead. 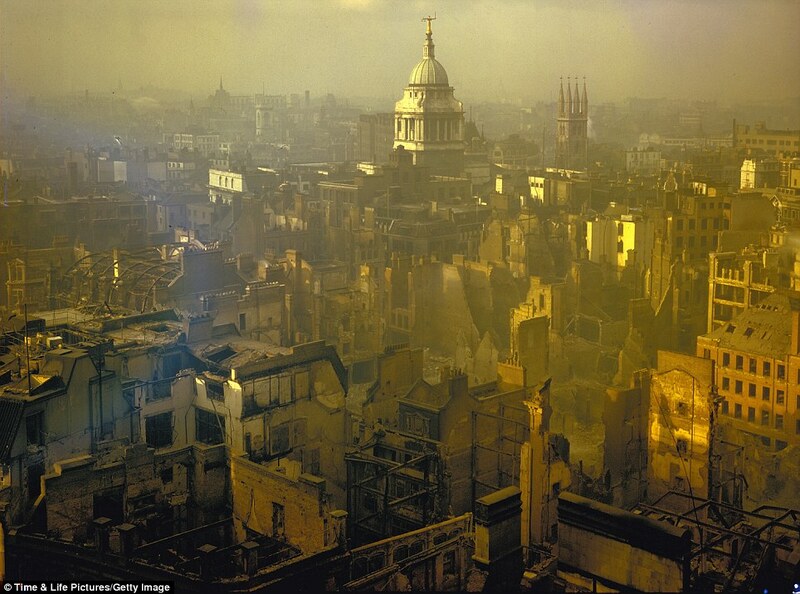 The Prime Minister's campaign was launched after the Luftwaffe launched its sustained bombing of cities across Britain. 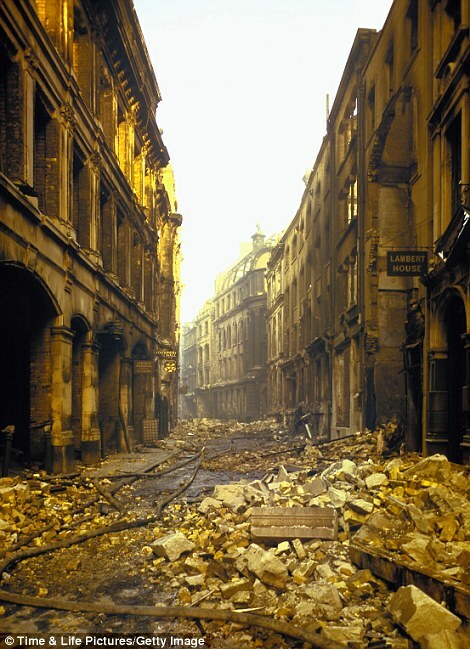 Unsurprisingly, London bore the brunt of the raids between between September 7, 1940 and May 10, 1941. 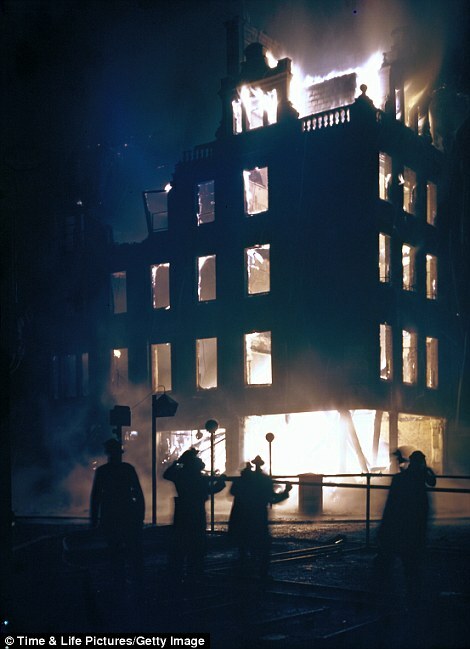 The capital suffered 76 continuous nights of attacks which obliterated more than one million homes, while across Britain some 40,000 people were killed. 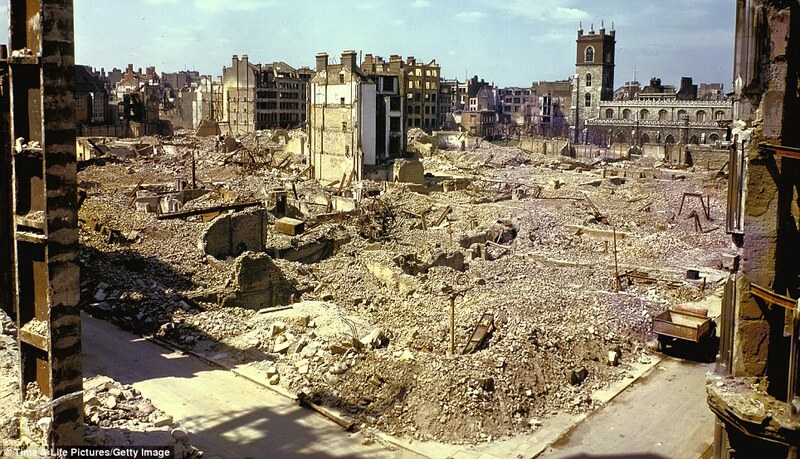 But even after eight months of bombing, British industrial production was never seriously hampered and the war effort continued to operate and expand. 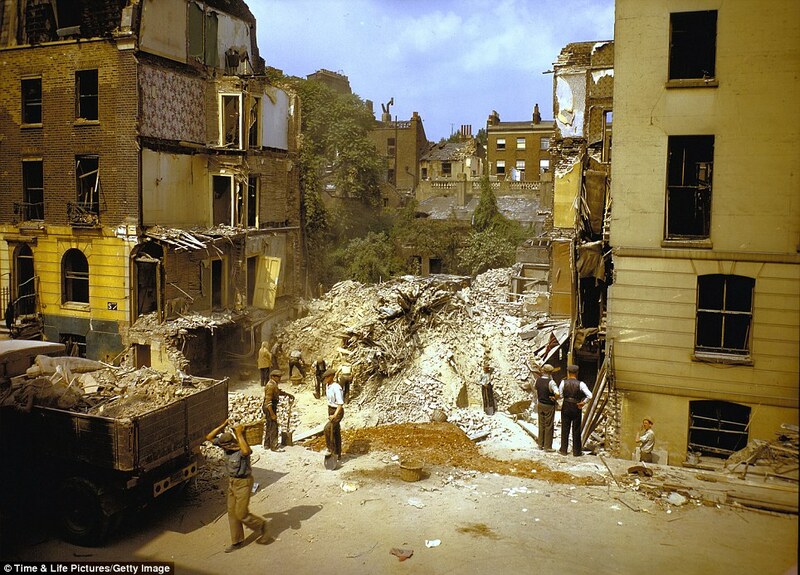 Despite the terrifying raids by the Luftwaffe, they attacks failed to breaks the spirit of the British people. 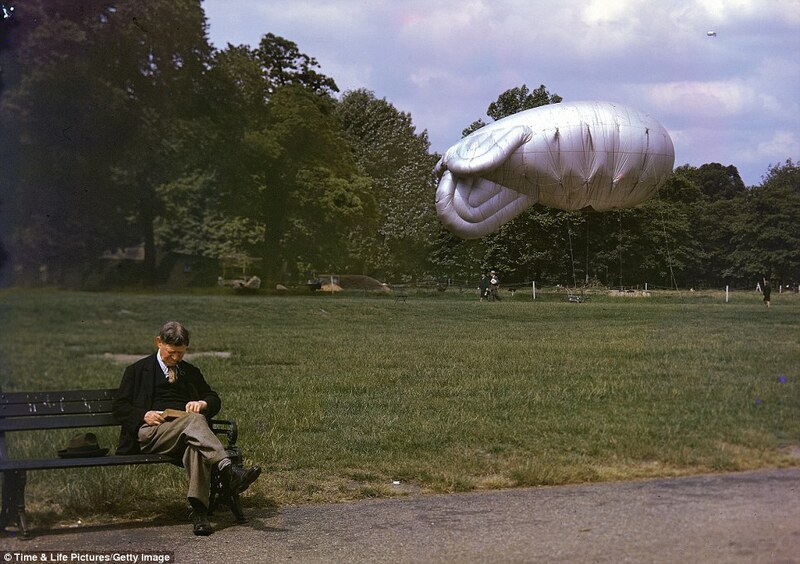 People pressed on with their lives and in one of these extraordinary images a man can be seen in a park calmly reading a book while a barrage balloon hovers close by.